It all starts with color! This Creative Converting 28134071 12 oz. plastic cup is perfect for your picnic, reception, and outdoor or catered event! Its Black Velvet color adds a classic look to your dining atmosphere and can easily be mixed and matched with other unique colors (sold separately) to match your events' theme and decor. Made of polystyrene, this cup is durable and strong enough for parties and everyday use! Serve up your favorite lemonade, ice tea, fruit punch, mixed drink, and more in this versatile plastic cup. After your guests leave, clean up is a breeze because of this cup's disposability. Great item to use on the bar. I also paired them with the matching color stirrer. They hold ice for a long time and definitely good for refilling. The Creative Converting 28134071 12 oz. 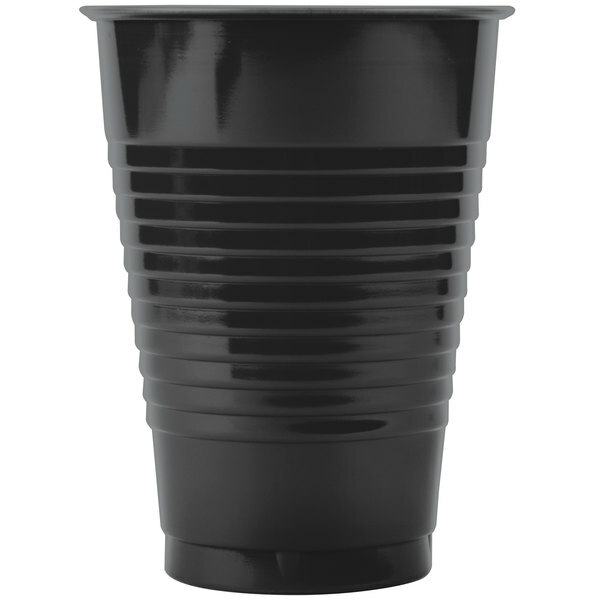 Black Velvet Plastic Cup - 240/Case good product need more for the bar. I will be buying this product again real soon. These cups are made right here in America too. The blackCreative Converting 12oz plastic cups are an excellent product. We appreciate that they are made BPA free and can be recycled. That is important to use and you should recycle too. Black cups can be used at almost any event. Very sharp looking black plastic cups here. 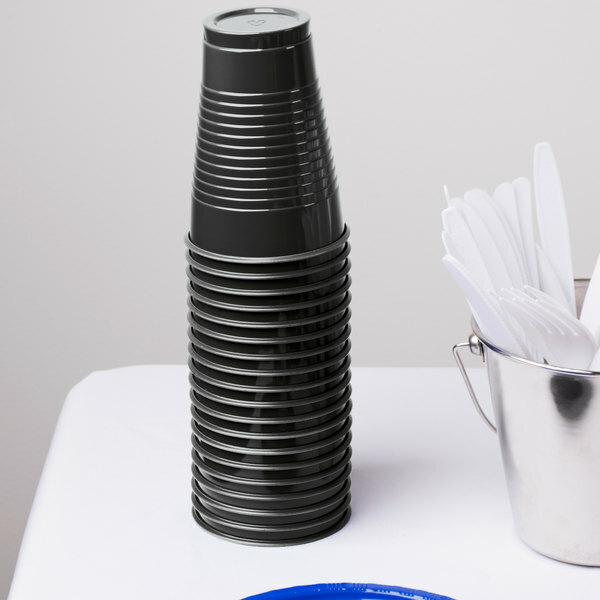 Classy look but still disposable with no cleanup make these cups and absolute must try. Add these to your cart now! This is a great cup. The cup can be used for any type of drinks that you are serving at a party or in your home. We ordered these cups for our daughters bumblebee themed party. They held up great with both the children, and adults. They were a great buy. Used the Creative Converting 28134071 12 oz. Black Velvet Plastic Cup - 20 / Pack to hold Blue Raspberry Lemonade Koolaid drink. So many uses. Great to drink the raspberry lemonade on a hot day. 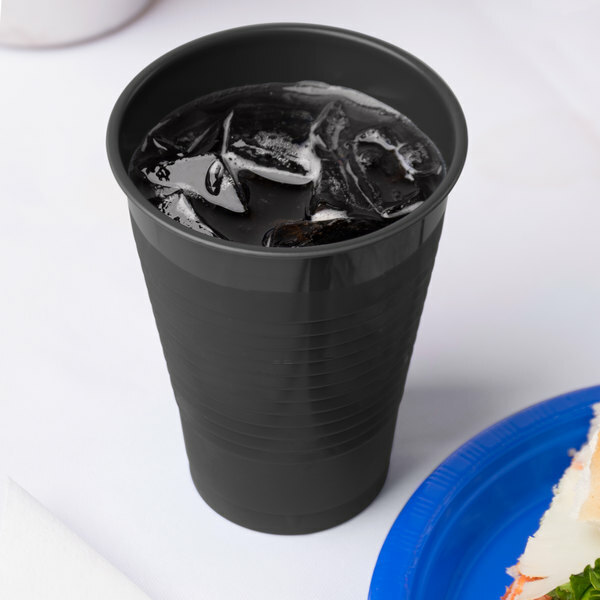 this 12 ounce black velvet plastic cup is a really great looking product. we use them for catering and the guest love them. hold cold very well.